Pyhä is synonymous with Lapland. In the nook of a National Park, it lies pure and unspoilt. It is sympathetic, cosy and tranquil. Pyhä has all services within a small area, and in its backyard the oldest National Park in Finland with its gorges, peaks and old-growth forests. The most famous sights in the National Park are only a short walk away: Isokuru Gorge, Pyhäkaste Waterfall and Uhriharju Ridge. You can take part in most of the activities in the National Park or in its immediate vicinity. Pyhä makes one think of serendipity. 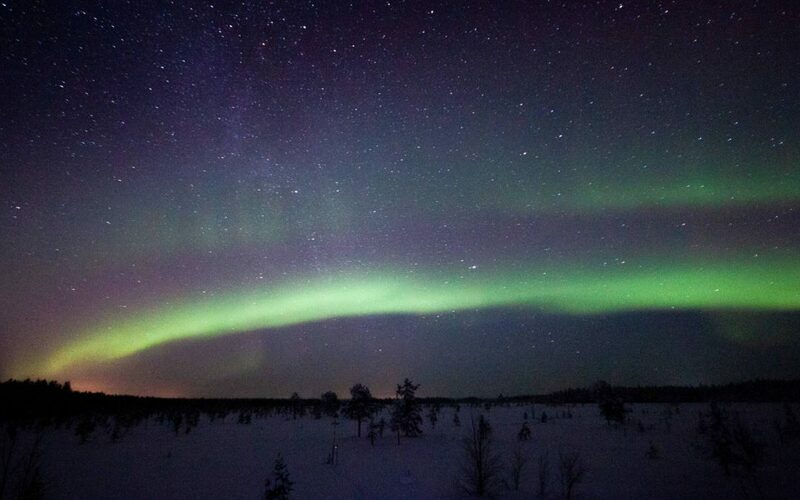 People hear about it from a friend or stumble on it once they have experienced the busy ski centres of Lapland. The Pyhä fells offer one of the most magnificent views in Finland. The village on the hills, however, is tiny and sympathetic. You can be sure that there are no glaring fluorescent lights or masses of tourists. The spirit of Pyhä, as its name in Finnish suggests, is sacred and home-grown. This doesn’t mean that Pyhä wouldn’t offer good customer service, on the contrary; Pyhä gladly welcomes visitors. This kingdom of fell tops and gorges has attracted many regular visitors who have become friends with the locals. Over here visitors and locals sit at the same table or around the same camp fire. You really feel like you’re part of the Pyhä folk. Go and talk to anyone in Pyhä and you’ll probably find a lot in common! It’s hard to put into word what is so unique about Pyhä, but the phrases “tunturifiilis” or that fell feeling and “Pyhä Magic” try to catch at least a bit of the essence. Using hashtags #tunturifiilis and #pyhamagic you’ll find great tips on what to do and where to go, and also like-minded people. Join the magic and please remember us at #visitarcticnorth. Pyhä is considered a hidden treasure which is part of its charm. Let’s make sure that the tunturifiilis remains and continues to provide authentic experiences to those who visit Pyhä for the first time. We have collected our top tips from Pyhä classics to local favourites. Pyhä offers event services and many other exiting activities you can do on your own and for free. Perhaps you already know what you’d like to do in Pyhä. Some come here for the northern lights, others for freeriding or to explore the National Park. There is much much more to Pyhä. Take a look at our programmes and tips. Maybe you’ll find something entirely new and come back for more.